Sustainable machining as a critical part in sustainable manufacturing has been valued by manufacturing enterprises of all sizes. The traditional short-term financial considerations are substituted by longer-term sustainable strategies to ensure the competitiveness, and ultimately, the survival of the company. 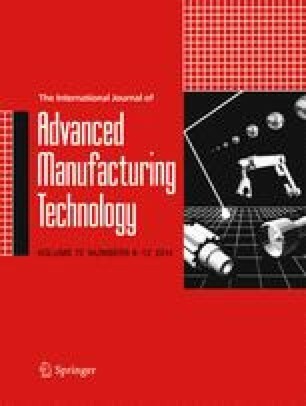 Energy-efficient machining system, which promotes sustainable machining, is the focus of this paper. The energy-efficient machining system requires a comprehensive understanding as well as optimisation of energy consumption. Literature in this field is carefully reviewed and summarised. Energy consumption models, which are regarded as the core of the energy-efficient machining systems, are grouped into four categories, i.e. theoretical, empirical, discrete event-based, and hybrid models. Then, energy optimisation methodologies and strategies are discussed for energy-efficient process planning and production scheduling. The applications such as tool condition monitoring can employ energy information as useful input. Research inspired by energy-efficient machining studies is briefly introduced. The main elements of an individual energy-efficient machining system are then summarised. Discussions, research suggestions, and future directions are given at the end. MTConnect (2008) What is MTConnect? http://mtconnect.org/index.php?option=com_content&task=view&id=15&Itemid=1.